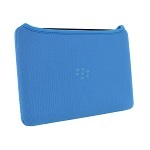 "The Dicota TabCover for the BlackBerry PlayBook is the perfect protection for those who are on the go." "Slim soft case that protects your device from the dust and scratches." The Dicota PlayBook TabCover is a great option for those who don't use a case on their device but still want some form of protection for it. 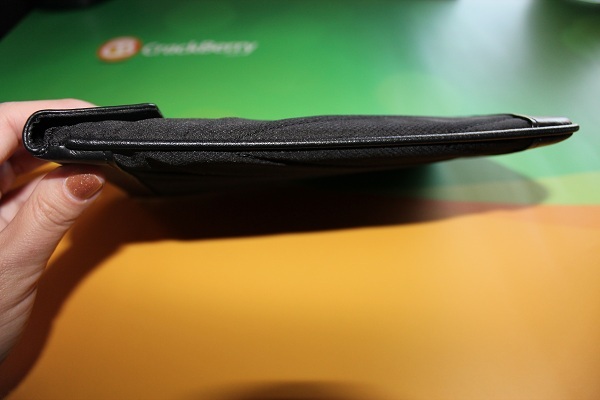 The TabCover is a padded sleeve that protects your device from bumps, scratches and dust. Its velcro closure makes sure your PlayBook isn't going anywhere. Slide your PlayBook inside, close the flap, and toss it in your laptop bag or backpack with confidence. 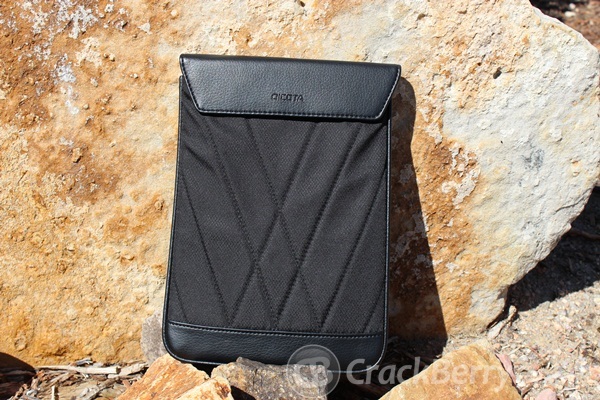 I love this case so much that it's the first one I recommend to those getting a PlayBook. For a soft case, it's deceptively resilient. 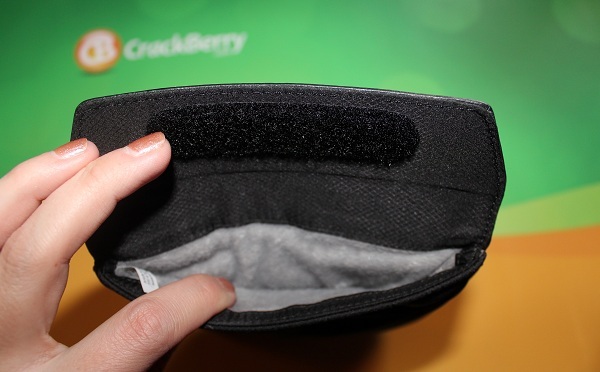 With the generous amount of padding, your device is safe from accidental bumps and drops. 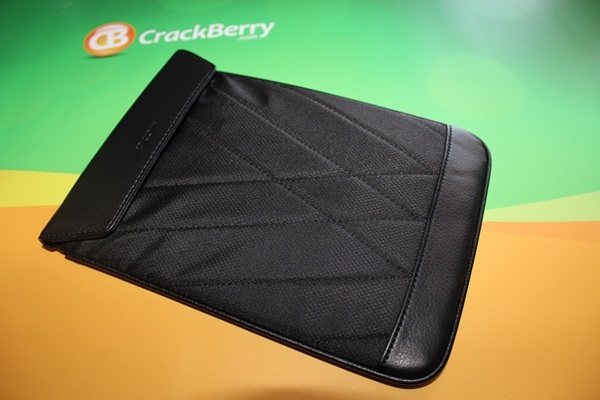 The soft material feels great in your hands and the interior actually acts a cleaning cloth for your PlayBook screen. With the secure velcro closure, you know your PlayBook isn't going to slide out and get damaged. The sleeve itself measures 150x213x27 mm/5.9x8.4x1.1 inches and is light enough to take anywhere. The soft interior acts a cleaning cloth to help keep those pesky fingerprints at bay. Decorative stitching and synthetic leather add a nice touch to the outward appearance, making this case one you'll be proud to use. 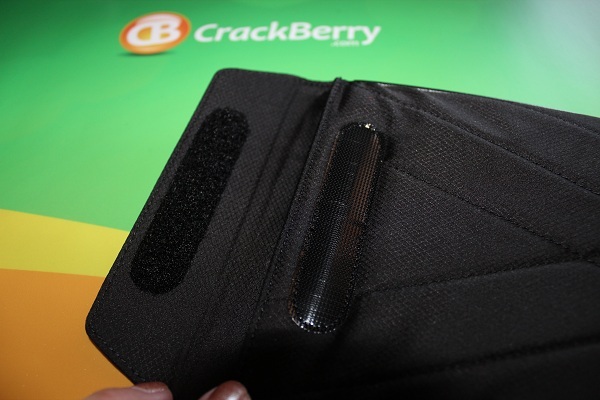 Durable fabric, sturdy construction, lots of padding and a built in screen cleaning cloth. 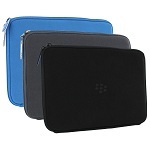 Only comes in black and doesn't offer enough room to allow some of the more heavy duty cases to remain on the PlayBook. "More professional look for your BlackBerry PlayBook." "Available in three colors with a zipper enclosure and memory foam padding." "Can charge or plug in headphones without removing from the case."